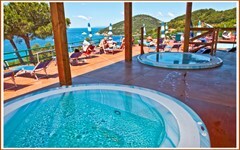 Special discount on best tariffs and valid for all types of rooms. Prepayment: the total price of the reservation will be charged on the day of booking. Please note, if cancelled, modified or in case of no-show, the total price of the reservation will be charged. Special discount on best tariffs and valid for all types of rooms. Prepayment: the total price of the reservation will be charged on the day of booking. Please note, if cancelled, modified or in case of no-show, the total price of the reservation will be charged. Enjoy our buffet style breakfast with fruit juices, cereals, prunes, a selection of cheeses, ham, salami, eggs, jams, honey, butter, baked croissants, biscuits, assorted cakes, toast, bread and oven fresh rolls, choice of teas, coffee, hot chocolate and more.... a good start to a busy day!! Cancellations allowed up to 14 days from arrival date – deposit will be refunded (administration fees excluded). Enjoy our buffet style breakfast with fruit juices, cereals, prunes, a selection of cheeses, ham, salami, eggs, jams, honey, butter, baked croissants, biscuits, assorted cakes, toast, bread and oven fresh rolls, choice of teas, coffee, hot chocolate and more.... a good start to a busy day!! 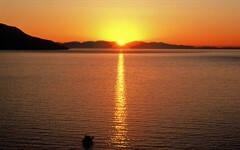 BOOK ONLINE NOW FOR OUR SPECIAL TARIFFS, ARRIVAL AND DEPARTURE ON ANY DAY OF YOUR CHOICE FOR A MINIMUM 7 NIGHT STAY. Cancellations allowed up to 14 days from arrival date – deposit will be refunded (administration fees excluded). HALF BOARD includes: Buffet breakfast with sweets and savouries - Dinner with choice of menu and table service. The Costa Verde (Green Coast) is one of Elba's most beautiful areas,with lots of beaches, often with beautiful white pebbles, cliffs and a spectacular transparent sea. 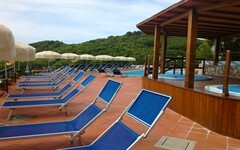 Comfort and relaxation for your vacation on the Island of Elba. 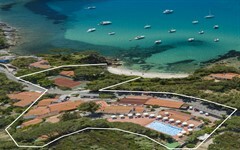 Hotel Paradiso (3-star hotel) in the charming Gulf of Viticcio, a few kilometers from Portoferraio.